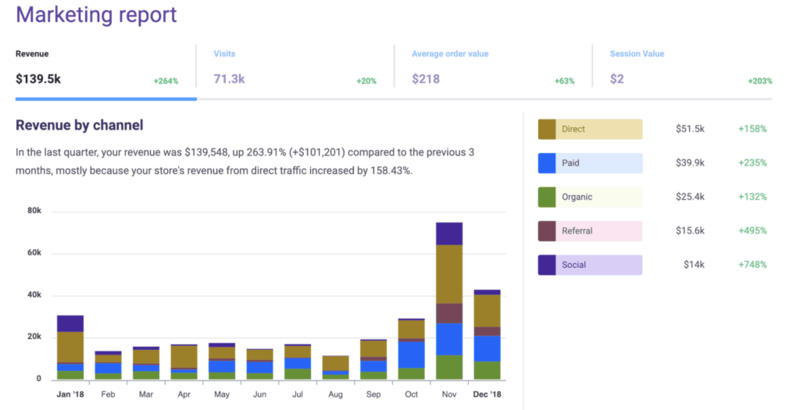 In this post, I am going to introduce you the AARRR metrics which could be a good assistance to optimize your funnel. I bet there are days when you take a look at your e-commerce data, and it makes you want to drive up the wall and say grrr….. I can relate to that feeling. It’s hard to read the different insights and metrics (and we didn’t even mention the interpretation), especially when it comes to your customers’ behavior. Which one is the best performing channel? What is the most effective way to motivate customers to take actions? How can a user be turned into returning visitor? Will my customers recommend my products or services to their friends? All in all, how can you measure and optimize your funnel? These questions are essential to ask, as the growth of your E-commerce store relies on your customers: the way they find your business, how much they purchase, how often they do so, and how satisfied they are with your service. The bad news is you need data in case you do not want to hope and pray only for better business performance and growth. Those who state they don’t measure and don’t make the right steps to improve their businesses („it’s just growing by itself”) are lying or are not in their right minds. The good news is you don’t have to reinvent the wheel. There is a model at your disposal which provides you a deeper understanding of your customers’ behavior. Let me introduce you the AARRR model (a.k.a. Pirate Metrics) that won’t give you the grrrr feeling and hand in hand with Conversific they help you systemize and optimize each step of your funnel. The AARRR metrics model was developed by Dave McClure. These five essential metrics map out the behavior of our customers and provide a deeper understanding of Customer Lifecycle. 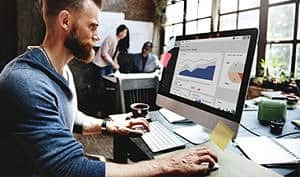 It serves as a framework that makes it easier for you to make better data-driven decisions as it maps out the steps you aim to guide your customers through. Let’s take a closer look at every single one! The acquisition is how you attract and acquire visitors. It is the first meeting, and we know it well how much the first impression means. As it’s the entering step of your funnel, it has an impact on the whole process. At this stage, the emphasis is laid on the quality of traffic and its source. 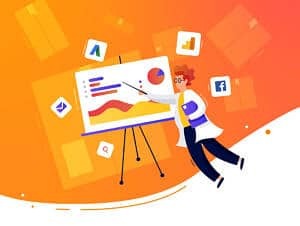 Nowadays the main traffic sources are search engines (Google, Bing), social media (Facebook, Twitter, Instagram) and your Pay-Per-Click ads whether it’s Facebook Ads or Google AdWords. No matter what is your main traffic source, make sure you understand the whole performance. This can be a perfect starting point to know which marketing channel works best for your business, and which one you might think of dropping. It’s important to know which traffic source has the best conversion rate. To see which source provides the most visitors than become customers is the key to ensure your marketing strategy is efficient. Although sometimes these products are ‘good sellers’, when you look at the number of visitors to their product page, you would expect to see more purchases. Is the layout of your product page user-friendly with easy-to-find elements? The activation stage is when a visitor makes his first interaction with your online store. In other words, visitors like what they see and make the first step toward it. The first step might be the act of signing up for your email list or newsletter, adding products to their shopping cart, browsing several products or category pages, and it can be as well a starting of a checkout process. Make sure that your website is user-friendly and provides an exceptional user experience. What is recommended at this stage is to provide enough call-to-action, so visitors subscribe to your email list. When visitors take action on your site, it’s your job to guide them through a smooth checkout process. By having a conversion funnel that can be measured, you can have powerful insight about each stage of the funnel and its conversion rate. Not only, but the data will also help you optimize your conversion rate, checkout process, and even product pages. When you monitor your sales performance, you can see which products perform better compared to the previous period. Many customers rely on side-by-side comparison when making their decision about purchases. Offering them an easy way to compare the best products in the same category, and providing recommendations for related products can help boost your sales. Do visitors and customers keep on coming back to your store? That is the proper question to ask at the retention stage. It is super simple, the most experienced e-commerce experts would also conclude that retention can tell a lot about customers’ satisfaction and trust toward your business. And that is one of the top objectives of all online retailers, seeing their customers placing new orders at their site. Percentage of Returning Customers is the ratio of people who completed an initial purchase to those who come back and make a second (or third or fourth) purchase. Customers who find your products useful, helpful, and/or enjoyable will likely return again and again to make additional purchases. The percentage of returning customers measures the value of customer loyalty. You can also boost the number of returning customers by retargeting them with ads. 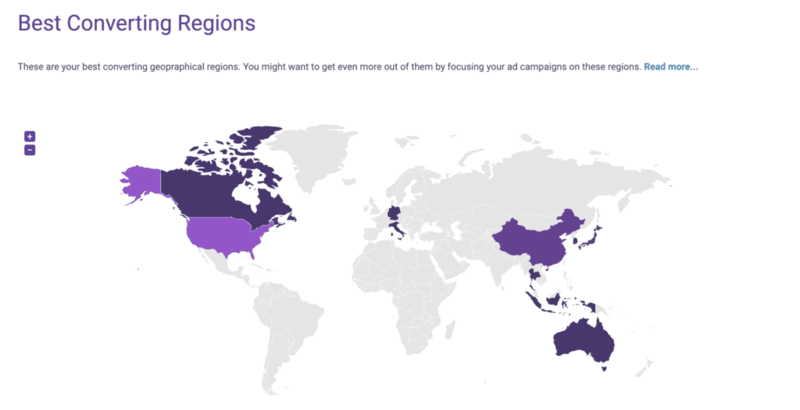 And if you have some geographic information about where the most sales are made, this provides you the opportunity to target your ads in that area. You can also use this data to explore new territories. Most importantly, you can save money and increase revenue at the same time. It is the percentage of customers who ran away from your business and decided to end their relationship with your store. In other words: this is the rate of the customers your business loses. Here’ll need to start collaborating with your team. The lower churn rate is better. For this KPI, the best practice is to segment your customers to active and inactive groups. Check the improved Customer Loyalty Box. As mentioned in the introduction, the revenue of e-commerce stores comes down to a customer placing an order. At this stage, all your metrics would be measured by the average spending of your customers. Customer Lifetime Value measures the total amount of money a customer spends in a store during his or her relationship with it. “It lets you know who’s in it for the long haul, and who’s not; who’s going to invest time, energy and money in your products and services for years to come, and who might just be fairweather. That’s information you can use to decide how to allocate resources for marketing, customer retention, and other areas so that you get the best possible return on those resources.” – Forbes, entrepreneur H.O. Maycotte. I believe he said it all. Average order value tracks the average amount spent each time a customer is placing an order. 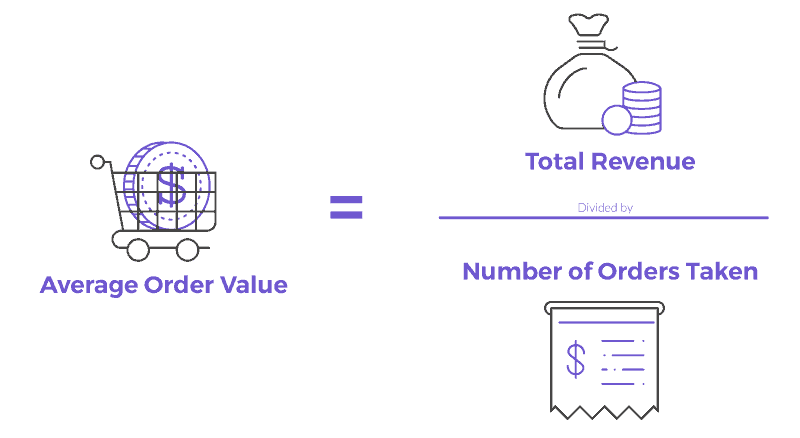 To calculate your store’s AOV, divide the total revenue by the number of orders. AOV should also be monitored as closely as any other business metrics — preferably daily or weekly. New campaigns, buying seasons, and any cosmetic alterations to a website are possible factors that may affect fluctuations in AOV. Your goal is to increase the average order value as well as the income of your shop. You should export the contact information of your customers with low AOV, and use this in a targeted marketing campaign to encourage larger purchases. For instance, you can send these customers a coupon for free shipping with a higher value purchase. This ‘higher value’ should be determined to make free shipping profitable and to ensure it results in a higher than the average order value. The point is to provide low AOV customers some motivation to spend more in your shop. Net Profit is the actual amount of profit a business generates after all expenses. It tells you the profitability of your E-commerce business after taking all costs into account. To increase Net Profit, businesses need to increase their revenue and decrease their expenses. You can lower expenses by improving the efficiency of production or making fewer purchases. You can increase revenue by attracting new clients, raising prices or vice versa making sales. Referral is one of the most powerful strategies to boost your online store’s growth. Remember, your customers have friends and family, and I bet you want them to hear about your business as well. But first, you have to build customers’ trust. 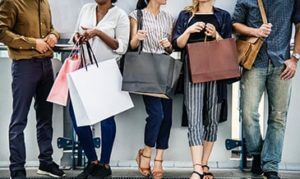 Happy customers love to share their great shopping experiences, but it is your task to make sure they leave your store delighted at the end of the buying process. Your customers would love to exchange referrals if they’re getting something out of it, it would create a word of mouth marketing for you. Your referral rate is the rate at which your users refer new friends to your site. This score reveals how many customers are willing to recommend a website to others. Usually, it comes in the form of a survey filled by your customers of course. 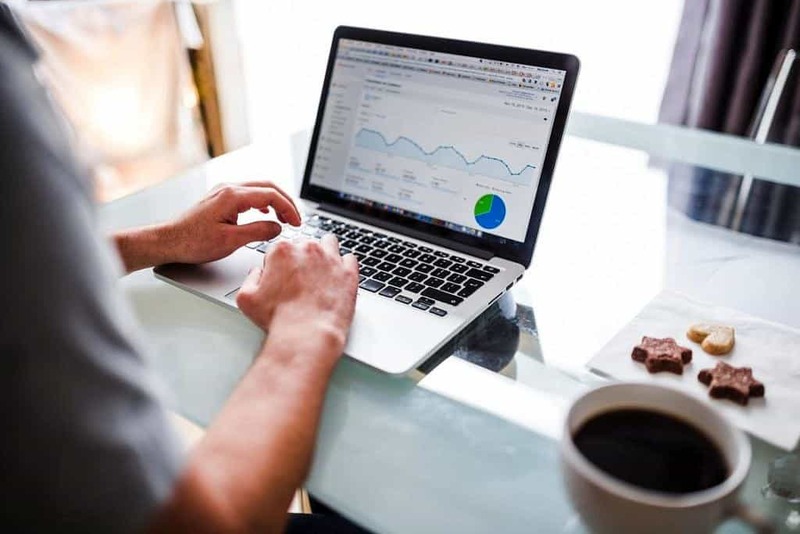 Smart Data Optimization, it is the only thing that makes you be 100% sure you’re getting the right metrics that you should pay attention to in order to grow your business. Hanging out with all of these metrics could be hard. But you don’t need an army of analysts to make good decisions. Allow me to introduce you a tool that is able to turn all of these complexes and difficulties to meaningful information that serves you the best. I’m talking about Conversific, which is an e-Commerce intelligence platform that helps store owners, like You to unlock the hidden revenue in their data and boost your store’s performance by delivering actionable business insights. Beyond opportunities of increasing sales, you can also identify the bottlenecks where your business is losing money. Data-based optimization is the key to reducing your costs and growing your business. You know that feeling when you have a clear overview of your customers’ journey, from the acquisition stage until you see them referring your website in their social circle? If not, I’m sure you’ll know it soon? Now you have a framework that helps you systemize the most important metrics that you should keep an eye on and a tool at your disposal to make your data simple and visible. With these in your pocket, you can spare time and with less effort, you will see a higher growing tendency. Welcome on Board, Captain! AARRR!